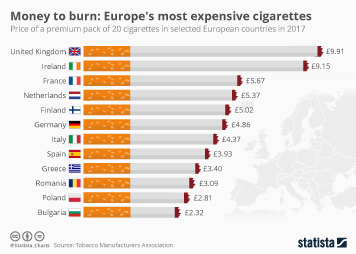 Australia is the world’s most expensive country in which to be a smoker, and from tomorrow on, one pack alone will tear a whole an almost €17 hole in an Australian smoker’s wallet. 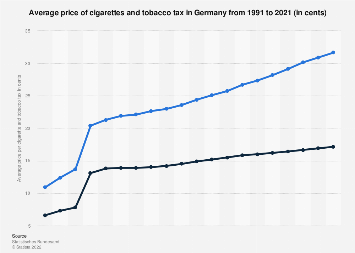 With two more price increases already in sight over the next two years, Australia’s, as well as New Zealand’s smokers, are probably jealously eyeing Ukraine. There, they could get almost 370 cancer sticks for the same amount of money. 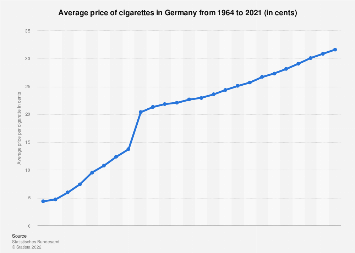 The chart shows the selling price vor a 20 pac of cigarettes inselected countries (Aug 2018).